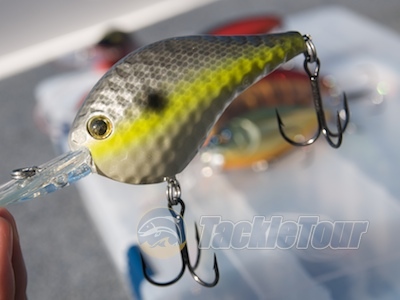 Presenting TackleTour's Deep Diving Crankbait Shootout! Introduction: Our Year of the Crank coverage would certainly not be complete without some type of shootout between actual crankbaits. Of course, it’s difficult to objectively evaluate the number one factor of a bait’s attractiveness to a bass without actually interviewing the fish themselves. With so many variables between products and the conditions in which you throw them, where do we start? Well, one thing is for sure, we’re not going to figure anything out by just sitting around and staring at product. The best way to figure things out is to do what we always do. Get the product out on the water. 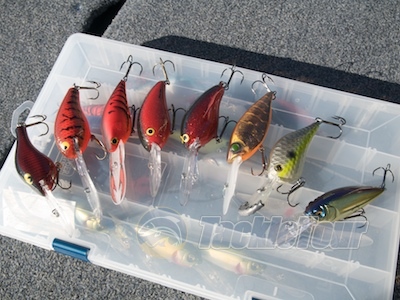 It’s time to tie on some baits, toss them out, and crank them up! 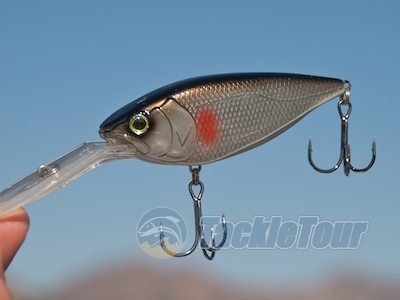 Introducing TackleTour’s 2009 Deep Diving Crankbait Shootout! Jonah Li, owner of Hi's Tackle Box in South San Francisco invited us out on Clear Lake, California and offered to help us in our Deep Diving Crankbait Shootout. The Setting: We’ve been fishing these baits all year. Some more than others and several have been in our personal arsenals for years. But for our actual side by side, bill to bill, rock pile over rock pile, comparison, we headed up to Clear Lake, California with Jonah Li, owner of Hi’s Tackle Box for some traditional, middle of summer, deep cranking action. Having fished the lake since his youth, Jonah is intimately familiar with Clear Lake, and when he caught wind of our shootout during one of my stockpiling trips at his store, he suggested we use his place on the lake as basecamp. In fact, he offered to play host and show us some of his favorite deep cranking spots on the lake. Needless to say, he did not have to ask twice. Our varied, yet incomplete mix deep diving contenders. Introducing the all too familiar Bill Norman DD22. Bill Norman DD22 : Long considered the gold standard of deep diving cranks, our review of this bait is long overdue. 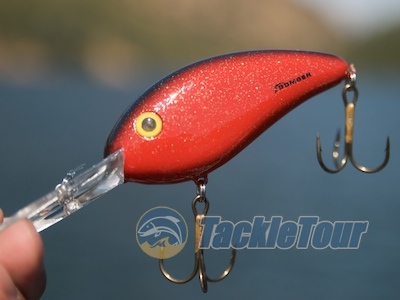 The Norman Lures DD22 is available in one hundred sixty six (166) different colors and is rated to dive anywhere between 15 – 18 feet when fished on ten pound test line. 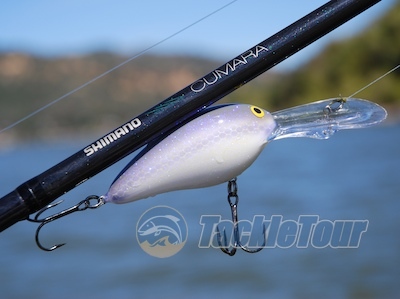 It is the favorite bait of West Coast crankbait expert, Randy McAbee. Introducing the relatively new Deps Cascabel DC-400. Deps Cascabel DC - 400 : The Deps Cascabel made its debut at ICAST 2008 and though it has the bill of a deep diving crank, it’s really only rated from eleven to thirteen feet in depth. This is a twenty six dollar ($26) crank and is only available in six different colors. Introducing the fresh from ICAST 2009 BassStar Dredger. BassStar Dredger : The BassStar Dredger is intended to take the practice of deep water crankin’ to an entirely new level – literally. Featuring a forward weighted bill, to fish this bait, simply cast it out and count it down. It will continue to sink until you begin your retrieve, and then, thanks to its wide bill, it will continue to dive and/or dredge the bottom with a vengeance. Introducing the old standby, Bomber Fat Free Shad.